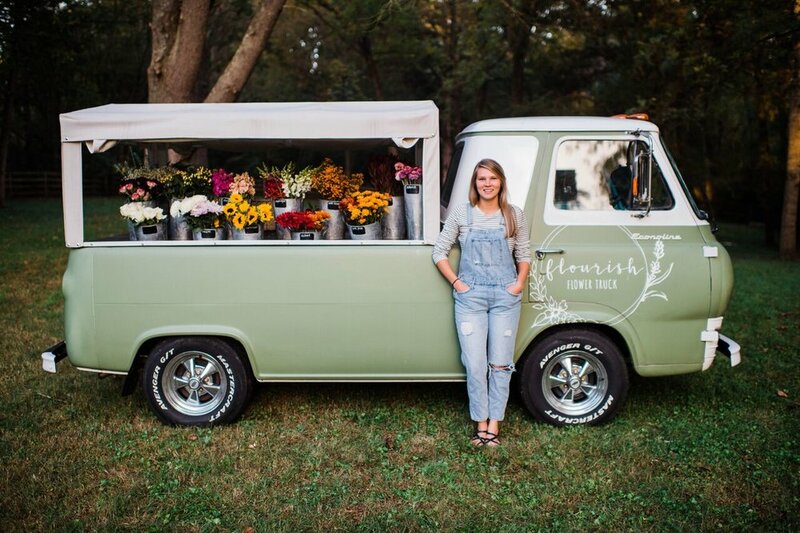 I run a mobile flower shop out of the bed of a 1961 Ford Econoline. Customers can come find the truck out around Knoxville to create-their-own bouquets or they can have us deliver a bouquet directly to them or someone they choose! Everything on the truck is priced by the stem and allows people to be hands on and creative. Our goal is to provide an experience where people are able to come to love themselves and others well.